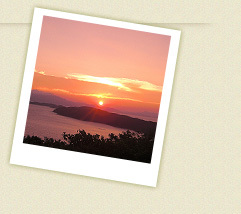 Enjoy the beautiful sunset over the Kitan Strait at Kyukamura Kisyu-Kada. Only one hour drive from Osaka, this hotel reopened after a renewal in July 2016 with stunning ocean-view from all rooms and the onsen. We have stylish Japanese-style, Western-style and mixed Japanese and Western-style rooms equipped with everything you need for your comfort. Moreover, guests can take advantage of many facilities suitable for different types of travelers, such as a swimming pool, a tennis court, a banquet hall, a conference room, a restaurant and a café. Please enjoy delicious seasonal meals, while you relax your body and soul at Kyukamura Kisyu-Kada.